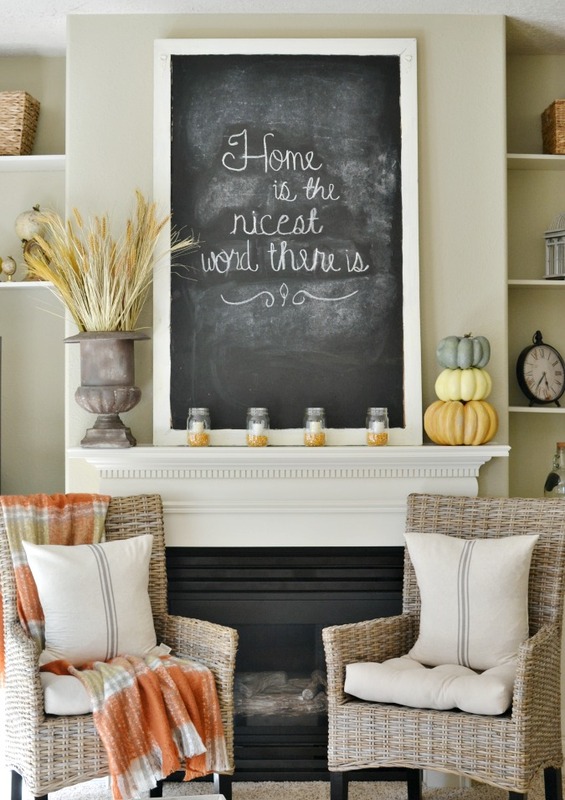 Loving the natural elements throughout this home and the quotes like this one At The Picket Fence. Beth’s touches of green throughout her fall decor at Home Stories A To Z are so beautiful! Have you decorated for fall? Get inspired with these 5 fall home tours. 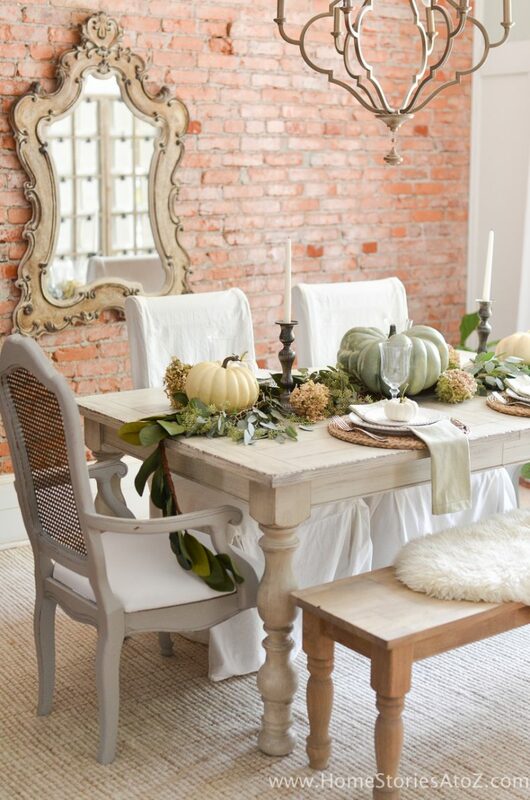 Great use of neutral colours and the white pumpkins everywhere make me smile! Sprinkling of natural elements + textures at Driven by Decor gets me in the mood for fall. 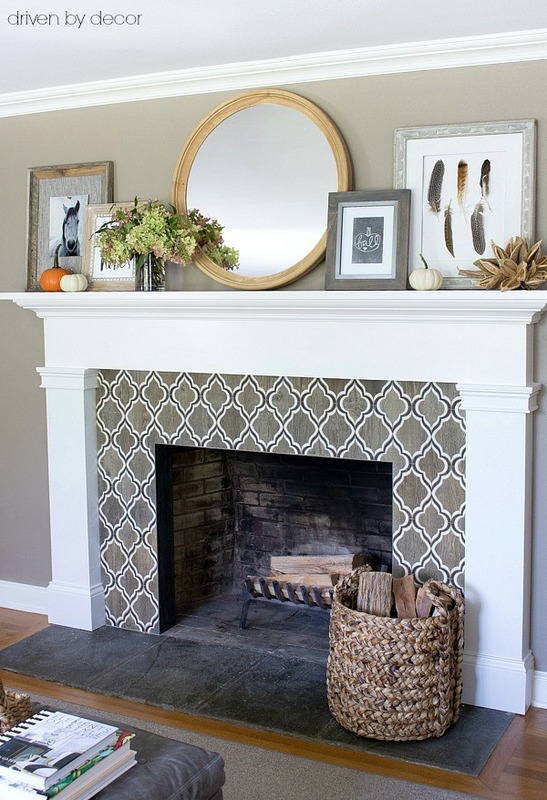 Laura offers easy DIY fall decor tips that will inspire you to try. These homes are so beautiful! So, how can you NOT be in the mood for fall after going through these fall home tours. I hope you are inspired and ready to embrace fall throughout your home. I’m off to buy some pumpkins! Bring the outside inside your home. Add a variety of texture. Make sure to include natural elements. Decide on a colour palette and stick with it throughout all rooms. Finally, it’s your turn…how will you be decorating for fall this year? As well, do you like to be bold with your decor or simple and neutral?